We have found some interesting and bizarre things growing around here lately. 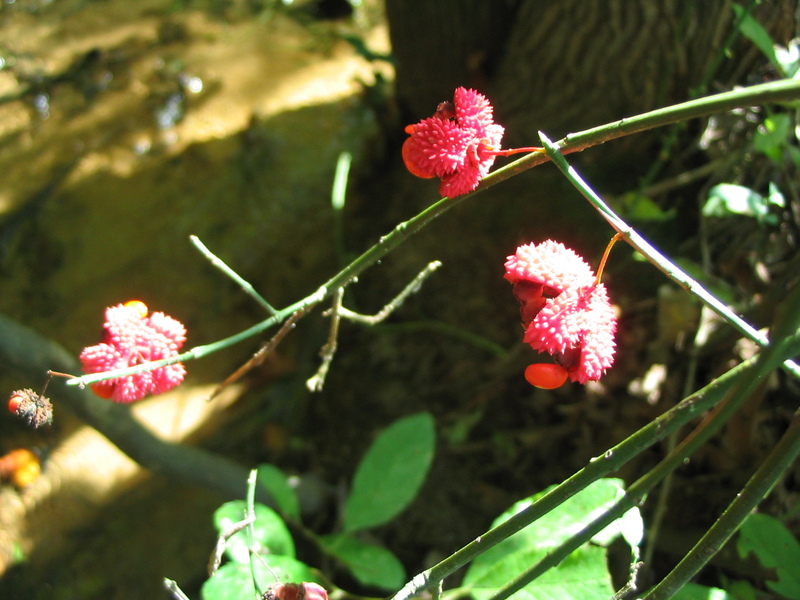 It took me a while to identify this plant. 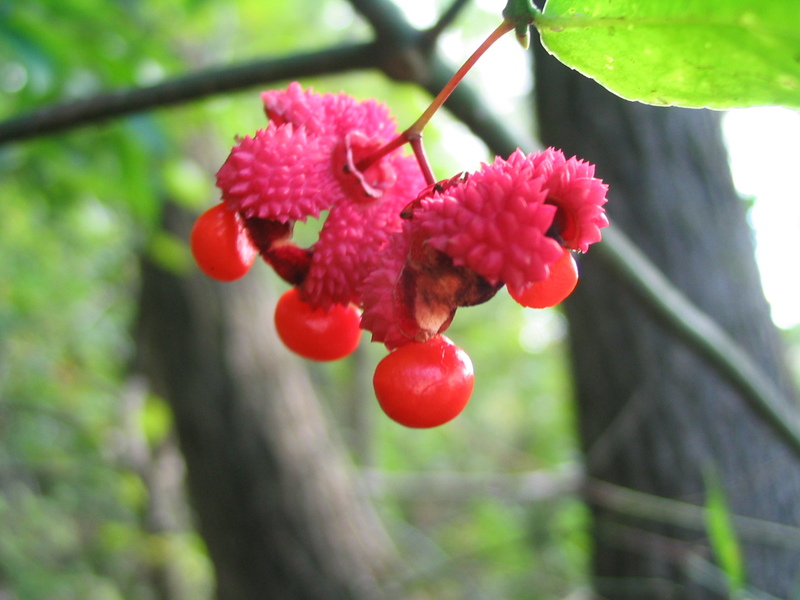 It is Euonymus Americanus, aka Strawberry bush, aka Hearts A Bustin’ With Love, in the Celastraceae family (same family as bittersweet). 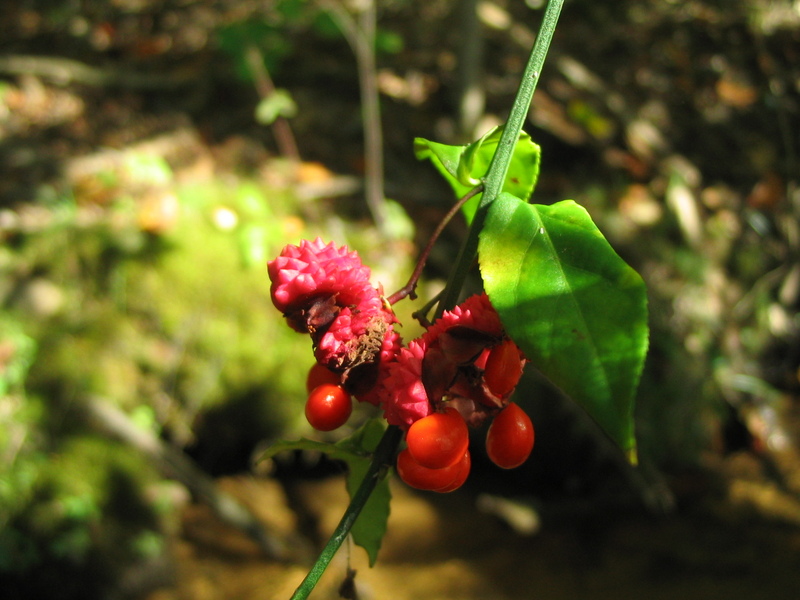 It is a small shrub with green stems and opposite leaves, and has the most interesting fruiting structure, which is visible this time of year. This specimen was especially odd-shaped. Apparently the dear love eating this. This particular bush is on the edge of the steep creek bank, and somewhat obscured by greenbriar, so too much of a challenge for the deer to get to maybe. 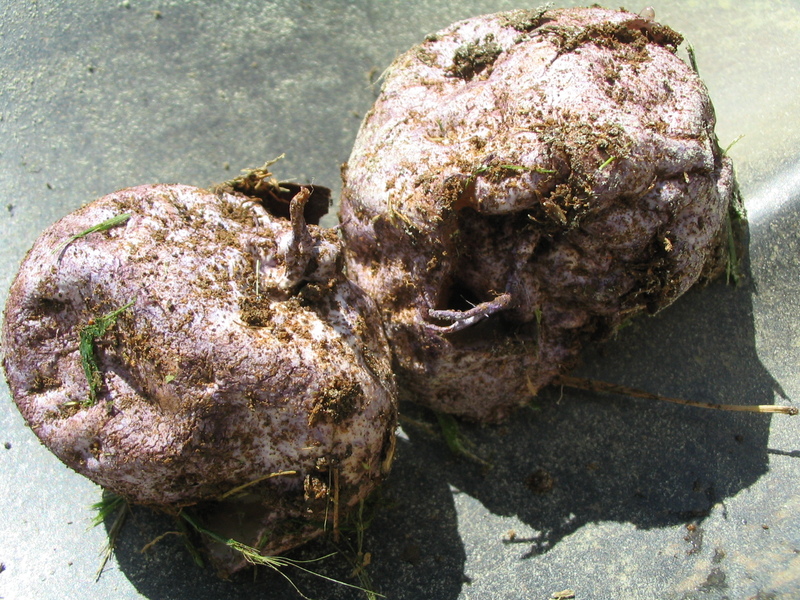 Gavin was mowing near the yurt and ran over these funky, leathery, egg-shaped lumps. Inside the mushroom egg. 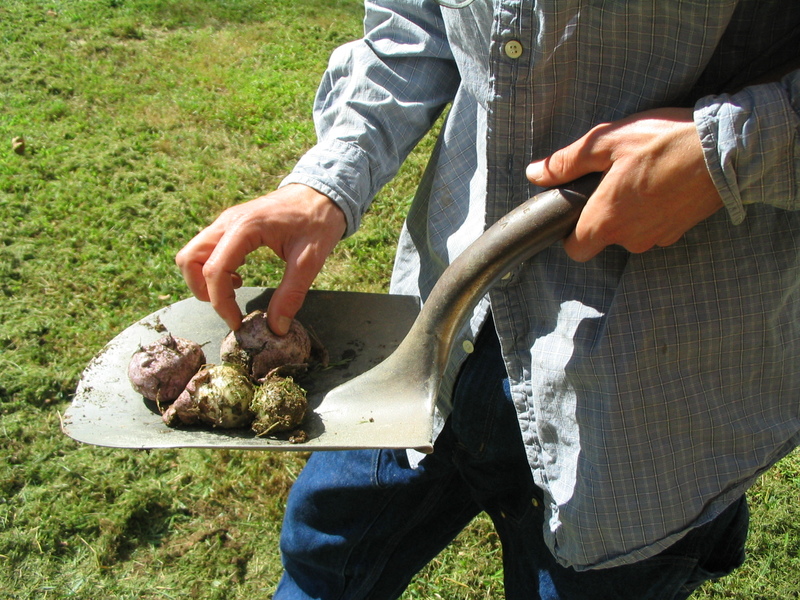 If we had not disturbed them, they would have sent up large and stinky stinkhorn mushrooms. 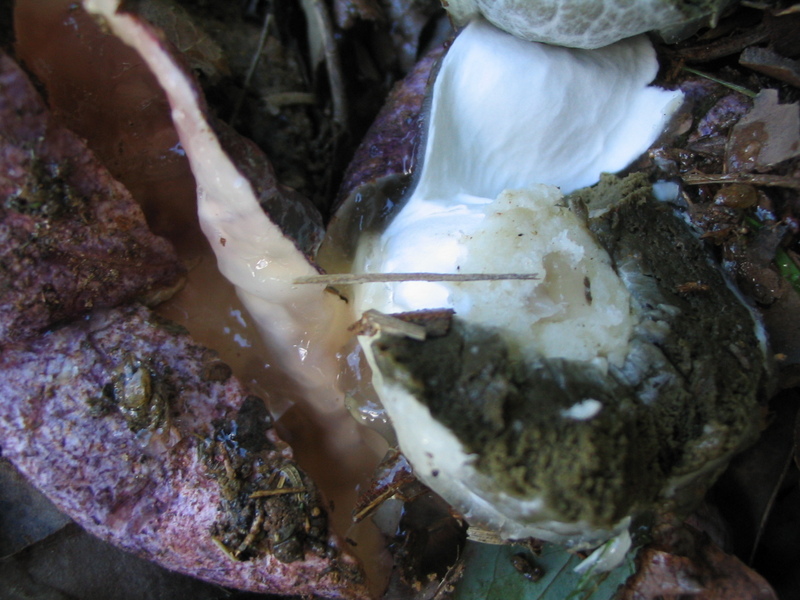 Note the layer of slime covering the formed mushroom inside the leathery sac. Yuck!